RESPONDER is an ERC-funded research project based at the University of Cambridge. 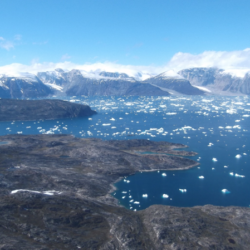 It aims to develop an intergrated understanding of the evolution of ice flow on the Greenland ice sheet and the co-evolution of hydrological networks operating at its base. 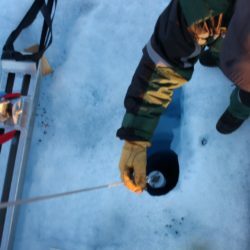 By employing multiple, complementary approaches, ranging from geophysical imaging techniques to direct exploration in kilometer-deep boreholes, the project is collecting an unparalleled stream of observational data from the basal environment which is rarely studied, yet responsible for making Greenland glaciers flow faster than glaciers anywhere else on Earth. 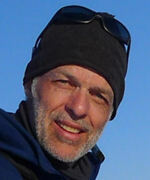 Poul is is a Reader in Glaciology at the Scott Polar Research Institute. 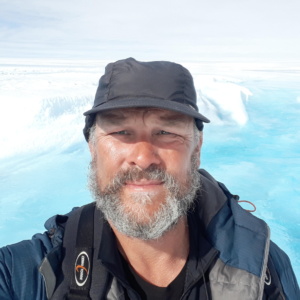 His research focuses on glacier dynamics and ice-sheet interactions with the atmosphere and ocean, and on a broad scale the interactions of the global cryosphere with Earth’s climate system. 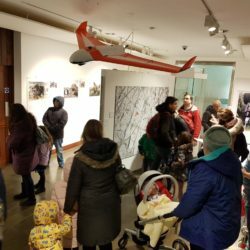 Bryn is a Professor in Glaciology at the Centre for Glaciology in the University of Aberystwyth. 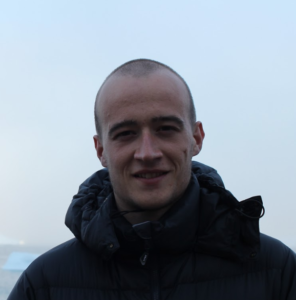 His research aims to better understand the links between motion and subglacial drainage via hot-water borehole access. 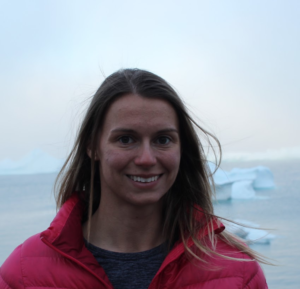 Marion is a Senior Research Associate at the Scott Polar Research Institute in the University of Cambridge. 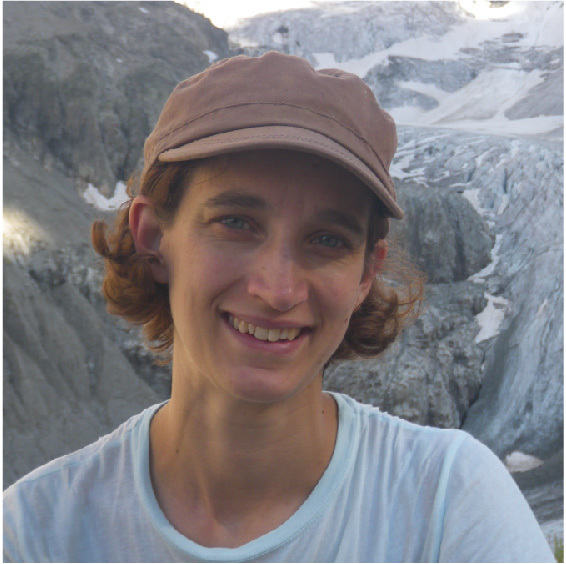 Her research uses modelling techniques to study the dynamics and subglacial processes that affect the mass balance of ice sheets. 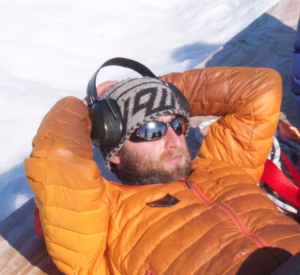 Sam is a research associate at the Centre for Glaciology in Aberystwyth University. 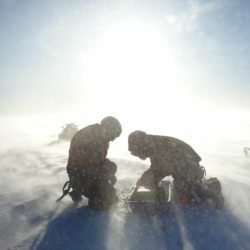 His research uses a combination of borehole sensors and GPS units to understand the dynamics of the Greenland Ice Sheet. 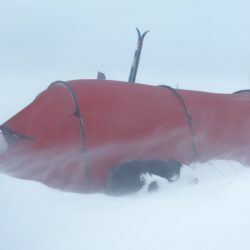 Charlie is a geophysicist at the Scott Polar Research Institute in the University of Cambridge. 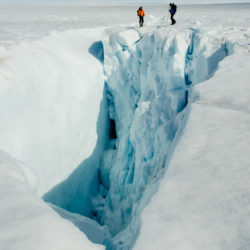 Her research investigates the subglacial properties of the Greenland Ice Sheet using passive seismic techniques. 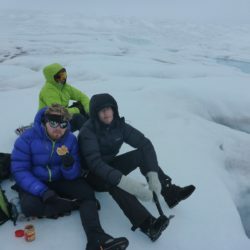 Tom is a PhD candidate at the Scott Polar Research Institute in the University of Cambridge. 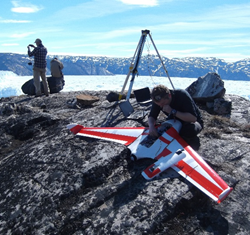 His research uses UAV technology to explore interactions between surface melt and subglacial processes on the Greenland Ice Sheet. 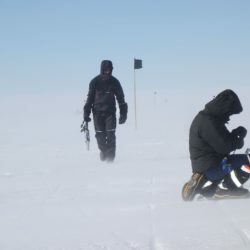 Samuel is a PhD candidate at the Scott Polar Research Institute in the University of Cambridge. 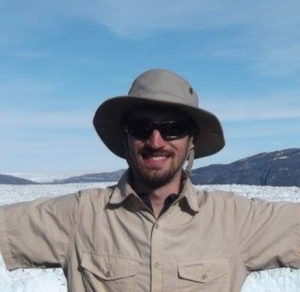 His PhD project aims to develop a fully-coupled model of a tidewater glacier, using an open-source, 3D glacial flow model. 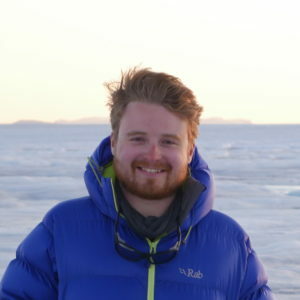 Rob is a PhD candidate at the Scott Polar Research Institute in the University of Cambridge. He uses the scattering properties of fibre optics to obtain temperature and strain profiles, which will lead to better constraint in numerical models.